Click on the Portfolio of your choice to view a selection of projects which have been completed throughout southeastern Connecticut by the team of Landscape Design, Organic Lawn Care, Tree Care, and Stonework Professionals at Sprig & Twigs. The Sprigs & Twigs Landscape Design & Installation team will create the garden of your dreams whether it be in full sun, full shade or in between. 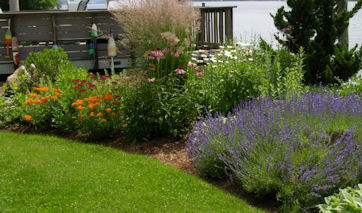 Our national award-winning team emphasizes use of native plants and naturalistic design principles. This portfolio contains some of our recent projects. 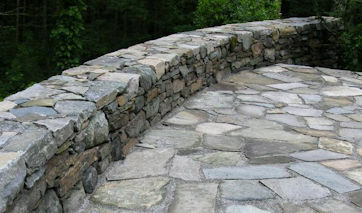 Custom native Connecticut fieldstone walks, patios, walls and stairs are our specialty. This portfolio highlights some of our projects. 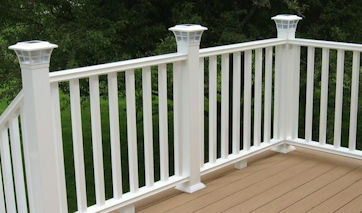 Our Master Carpenter leads our team in design and construction of custom decks, stairs, porches and additions. This portfolio shows a number of our most recent creations. 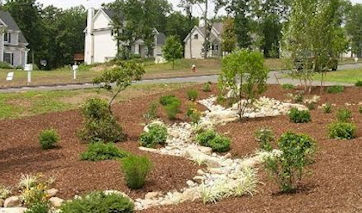 Rainwater management can be a critical part of an existing landscape or new landscape installation. We handle water flow with a unique combination of aesthetics and functionality as is illustrated in this portfolio.